The world stands on the brink of a new cold war, thanks to Russia’s invasion of Ukraine — of the Crimean Peninsula. The conflict calls for short history of the two nations and of the peninsula. Russia was born in Ukraine. The first state historians think of as “Russian” is Kievan Rus: a medieval realm with its capital at Kiev, Ukraine’s modern capital. Vikings founded Kievan Rus during the late 800’s C.E. and then blended into the local Slavic population. 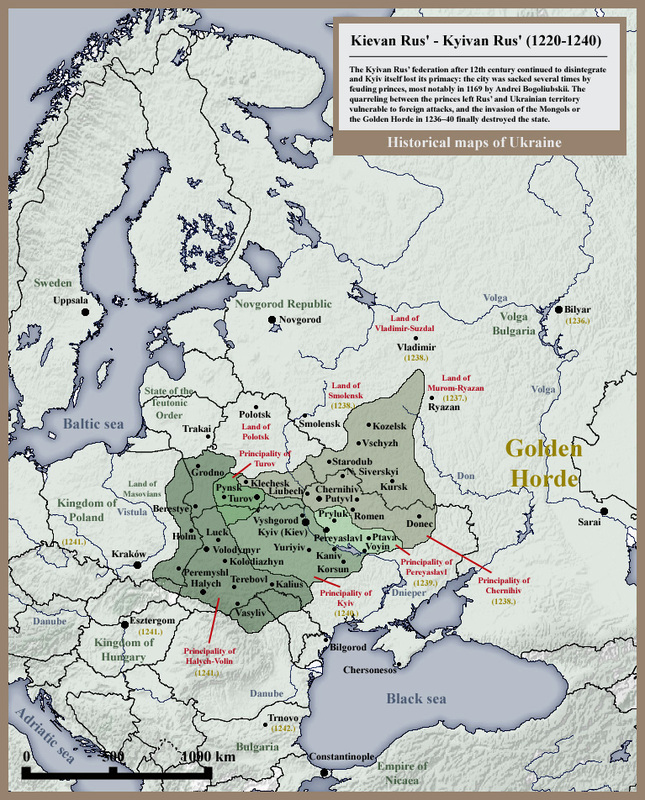 Kievan Rus eventually covered modern Ukraine, Belarus, and much of Western Russia. Rus is the root for the word Russia. Legend says it meant “red” and referred to the Vikings’ coloration. But most likely Rus actually came from a Nordic term for “men who row,” since the Vikings arrived on the rivers. The Byzantine Empire quickly cast its cultural net over Kievan Rus. A Kievan prince adopted Byzantine Orthodox Christianity in 988, laying the foundations of the Russian Orthodox Church. Kievan Rus fell to the Mongols during the 1230’s and disappeared from history. Precursors of modern Russia and Ukraine. Rus/Russian power began to recover during the late 1200’s, under several small principalities. New cities took power in the north, particularly Moscow, which eventually threw off Mongol rule and grew into the giant state we call Russia. The Grand Duchy of Moscow came into its own around 1300, when the Russian Orthodox patriarch moved the Church’s headquarters from Kiev to Moscow. Around the same time, a new post-Rus state rose in the south, in modern-day Ukraine. But it never gained real independence. Eventually, the Poles and Lithuanians replaced the Mongols as the country’s foreign rulers. The Ukrainians generally lived under foreign rule from then on, until quite recently. Separated from the other Russians, the Ukrainians developed their own culture. Today, we recognize Ukrainian as an independent language, though Ukrainians and Russians understand each other pretty well (like Swedes and Danes, for instance). Russian & Soviet Ukraine. During the late 1600’s, the Russian czar became one of the foreign monarchs ruling parts of Ukraine. And Russia’s share grew over the centuries. By the end of World War II, the Russian Empire — by then transformed into the Soviet Union — held all of modern Ukraine. Generally, Russian rule aimed at stamping out or limiting Ukrainian culture, for fear the Ukrainians would seek their own nation. Enter the Crimean Peninsula: The Crimean Peninsula didn’t become part of Ukraine until 1954. Muslim Tatars dominated it during the 1700’s, under khans who owed loose fealty to the Turkish Ottoman Empire. 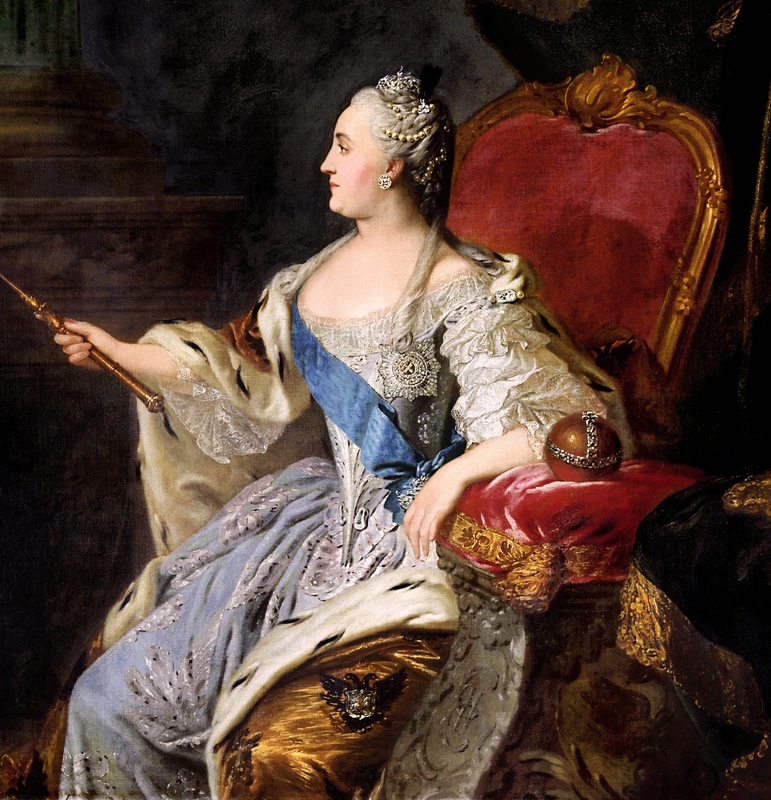 In 1783, however, Russia’s Catherine the Great conquered the peninsula, giving Russia its first warm water port and a major stake in the Black Sea. Crimea remained part of Russia until the Soviets transferred it from the Russian Soviet republic to the Ukrainian Soviet republic, in 1954. These republics were just provinces, so the move didn’t mean much. In fact, the Soviets saw it as a symbolic gesture, marking the 300th anniversary of eastern Ukraine’s entry into the Russian Empire. Of course, the Soviets didn’t know that thirty-six years later, all the Soviet republics would become independent states. The problem confronting the newly independent Russia after 1990 was Ukraine’s control over the former Soviet Union’s key naval outlet onto the Black Sea. Plus, Crimea’s population is mostly Russian-speaking, rather than Ukrainian. (The Soviets had deported much of the Tatar population to Central Asia, though a Tatar Muslim minority remains.) But Ukraine eventually leased several Crimean naval bases to Russia. And Crimea became a semi-autonomous republic within Ukraine. Then, last month, the Ukrainian people ousted a Russian-leaning government in favor of closer ties to the West. And Russia promptly invaded the Crimean Peninsula. The rest is not yet history. © 2014 by David Carthage. Great to hear from Mr. Carthage on this pressing subject thank you. Crimea voted to once again join Russia, it was not ‘invaded’ by Russia. It WAS invaded. First green men appeared with weapons, that blocked Ukrainian army at their bases. After that there was organized so called plebiscite. But the latter implies all Ukrainian plebiscite but not local. It is just simple hybrid invasion. That is it. Vadym is right. This was an invasion — and that’s exactly what the whole world calls it, except Russia. The “plebiscite” was bull. Russia is occupying part of Ukrain. Nor would a plebiscite matter even if it were real. If Mexico invaded Arizona, they couldn’t make the invasion “legal” by holding a vote in Arizona on leaving the U.S., even if the people actually voted to do it.